For some reason whenever I read the words “GOMAD“, I tend to think of the guy that transforms himself into the Incredible Hulk. I have a mental picture of a huge green guy growing larger and then ripping off his shirt and screaming. 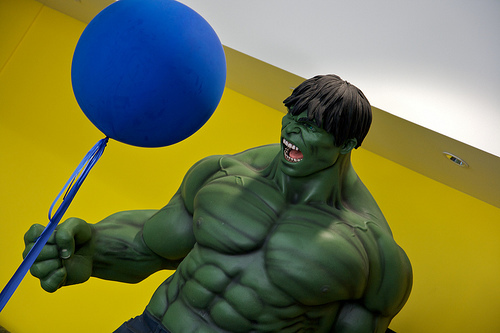 Actually with GOMAD you won’t turn into the Incredible Hulk, but you can come close! 🙂 GOMAD is not some super secret military program, but instead stands for “gallon of milk a day”. This means drinking a gallon of milk a day in order to gain weight. It’s a simple, yet very effective strategy. This is actually the strategy that some people (for example Rippetoe) advise for hardgainers who are struggling to gain weight. It means basically to drink a gallon (or around 4 liters for all of you outside the US) of milk a day, in addition to your regular meals and exercise routine. That is a huge amount of calories! Milk is a very good source of all kinds of macronutrients and micronutrients. It is made up of carbohydrates, proteins and fats. So you get all your basic macronutrients there. For example both whey and casein protein come from milk and so if you drink a lot of milk, you can get them in that way, instead of buying expensive protein powders. Milk also contains such goodies as vitamin A, vitamin D, zinc, magnesium, iron, calcium, and many other healthy things. It is also a good source of fluids and can keep you hydrated. I tried GOMAD but I kept crapping it all out – any thoughts? This strategy is not for everyone. Some people respond better than others. Some questions you can ask yourself, are you lactose intolerant? 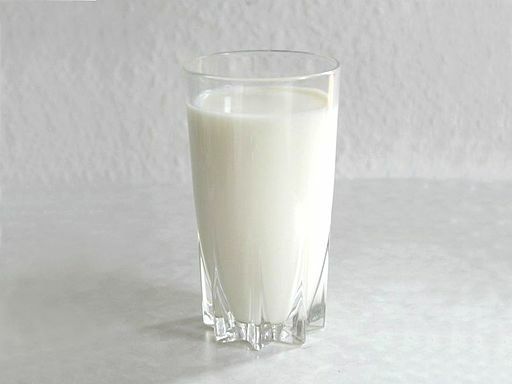 Sometimes people don’t notice that they are, since they only drink low amounts of milk, but with the amount of milk needed for GOMAD lactose intolerance can really manifest itself. I guess one way to lessen the amount of crapping could be easing into GOMAD, starting off slowly and then periodically increasing the amount of milk you drink, that way your body becomes accustomed to it. You can also spread out the amounts of milk you drink throughout the day. Instead of drinking big amounts in one sitting, try to spread out smaller amounts of milk throughout the day. This might work and it might not. GOMAD is a strategy that can create unwanted side-effects with certain people and so only works for certain people and for others it doesn’t. I did try later a half GOMAD, seemed to work pretty good.